Although professional counseling licensure portability has been a topic of interest for many years, limited empirical research has been conducted to examine state requirements to become a licensed professional counselor. To bridge this gap, state counseling license applications, including the District of Columbia, were investigated using descriptive statistics to determine similarities and differences. 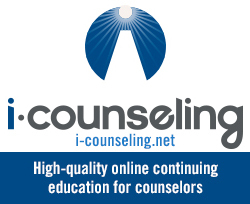 Results of this study determined that many states require coursework beyond Council for Accreditation of Counseling & Related Educational Programs (CACREP) standards, and there are numerous other factors beyond educational prerequisites that licensing boards consider when endorsing an applicant as a licensed professional counselor. 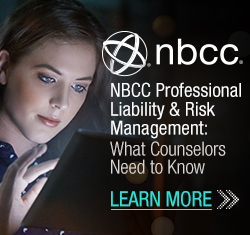 Developing a central location to review applications is one recommendation discussed to address many of the individual states’ concerns and requirements, organize uniform agreements on comportment behaviors, and improve client and professional counselor protection. 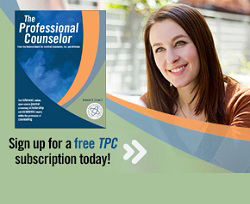 A purposeful sample of 359 graduate counseling students completed a survey assessing factors influencing program enrollment decisions with particular attention to students’ awareness of and importance ascribed to accreditation from the Council for Accreditation of Counseling and Related Educational Programs (CACREP) prior to and following enrollment. Results indicated that accreditation was the second most influential factor in one half of the students’ enrollment decisions; nearly half of participants were unaware of CACREP accreditation prior to enrollment. Accreditation was a top factor that students attending non-CACREP-accredited programs wished they had considered more in their enrollment decisions. Findings from the survey indicate that prospective counseling students often lack necessary information regarding accreditation that may influence enrollment decisions. Implications for counseling students and their graduate preparation programs, CACREP and the broader counseling profession are discussed. .